Richard Branson braved Hurricane Irma on his private island in the British Virgin Islands. Specifically, the billionaire Virgin founder planned to brave the worst of the powerful storm in his wine cellar. "We are expecting to get the full force of the hurricane in around five hours' time, when we will retreat to a concrete wine cellar under the Great House," Branson wrote Wednesday morning. Branson described the eve of the storm as "a night of howling wind and rain." He added: "The atmosphere is eerie but beautiful." 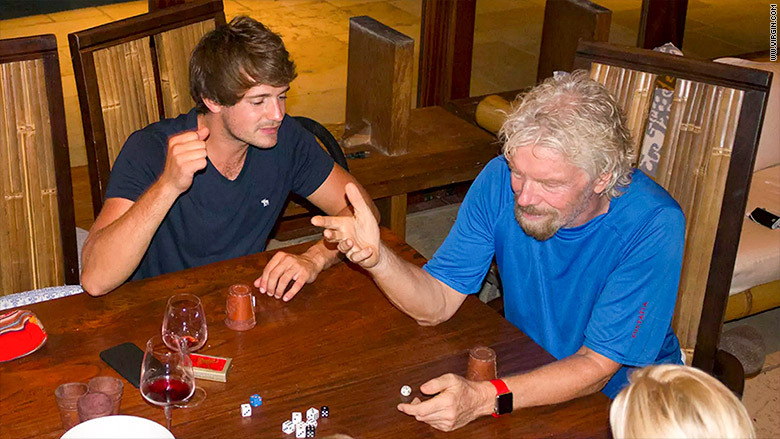 Branson is not alone on Necker Island. He was joined by "a great group of young people," who played games and slept in two rooms. "I haven't had a sleepover quite like it since I was a kid," Branson said. Hours later, after the storm had passed, Branson's son Sam said that everyone on the island was OK but that a lot of buildings were destroyed. He expressed concern for others in Irma's path. "Please don't take this hurricane lightly if it is heading your way," he warned. "If your building is not very solid, do find somewhere safe!" Hurricane Irma is currently a Category 5 storm with maximum sustained winds of 185 mph at its core. 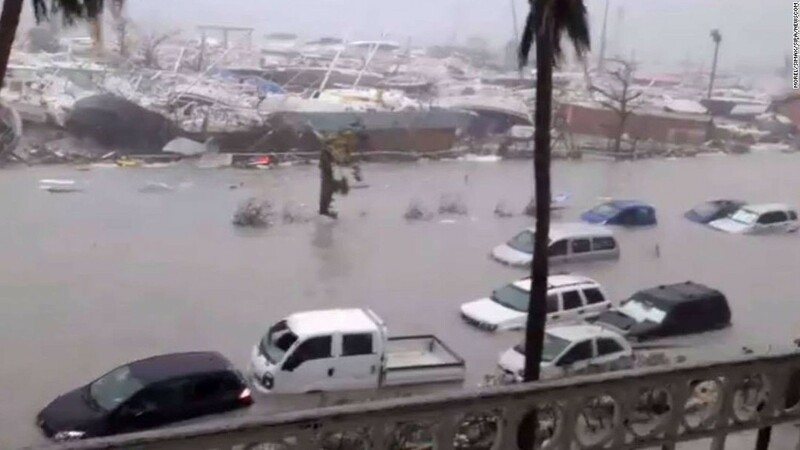 The storm raked across the Virgin Islands and other eastern parts of the Caribbean on Wednesday and is expected to hit the Turks and Caicos Islands on Thursday. Irma comes barely a week after Hurricane Harvey caused massive flooding in Texas. Branson is known for having an adventurous streak. In 2012, he became the oldest person to kitesurf the English Channel. Branson has also said he intends to be on the first Virgin Galactic flight into suborbital space. He purchased Necker Island for $180,000 in 1979. He later opened a luxury resort, which has been visited by a long list of celebrities.